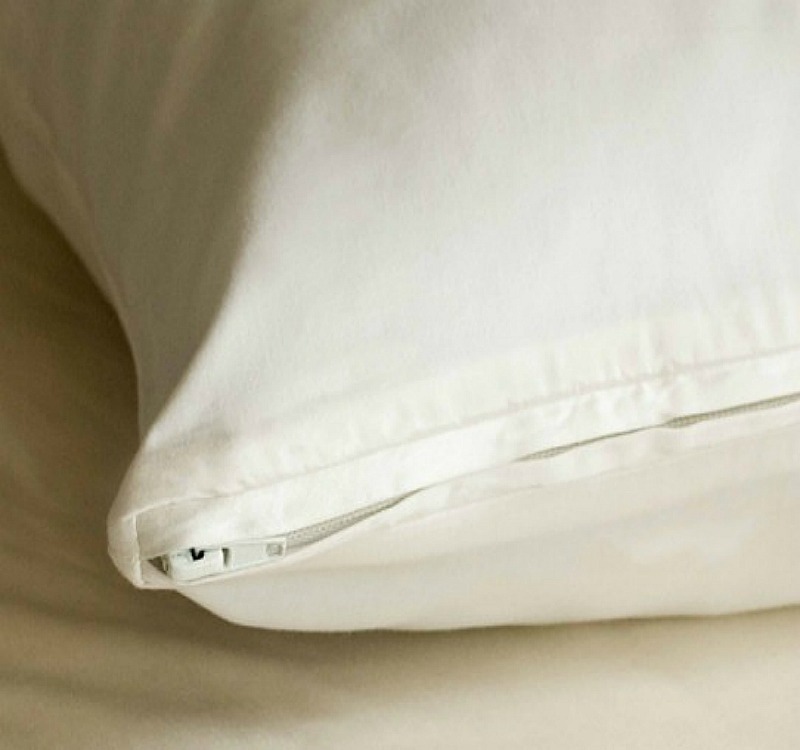 Protect your wool pillow with a smooth, high thread count Organic Cotton Pillow Protector made by Coyuchi. This product is designed to go under your regular pillow case to keep your pillow extra clean and increase longevity. Densely woven, organic cotton sateen pillow protector barrier cloth adds a smooth, natural layer of protection to help resist stains. Closes with a side zip. Our cotton is 100% organic; sourced and woven in India. Sateen is a slightly shiny and very soft fabric that is often described as buttery because of it’s smooth feel. Sateen holds bold colors well while maintaining its softness and is known to resist wrinkling, so it’s easy to care for. Sateen is a weave in which many threads are aligned tightly together in the vertical direction, creating a flat, smooth, shiny and very soft surface on one side of the fabric and a slightly matte one on the other. We love sateen for its ability to hold brilliant and beautiful colors while resisting wrinkling. 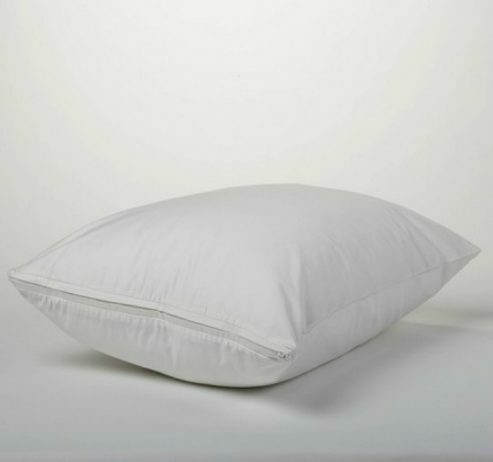 We recommend machine washing your organic cotton sateen pillow protector on the gentle or delicate cycle with warm water and non-phosphate soap. Line dry, or tumble dry low and remove promptly. Use a warm iron on cotton, or a hot iron on linen, as needed. We do not recommend using whiteners as bleaching agents; when needed, use only non-chlorine bleach. Please refer to the product tag for more specific instructions.